This is the third essay in a three-part series in which I explore the answer to that question. In the first installment I blamed this problem on the flimsy definition of “ACO.” ACO proponents “defined” the ACO in terms of their hopes for it, not in terms of the mechanisms ACOs would use to accomplish those hopes. In the second installment I reviewed a paper published by the Center for Health Care Strategies (CHCS) to document my statement that we have no useful information on ACOs and to illustrate the quandary the hope-based “definition” of “ACO” creates for researchers. I criticized the CHCS paper as well for its cavalier attitude about evidence. The paper relied heavily on press releases and anonymous sources, and ignored the costs providers and insurers incur to set up and maintain ACOs. In this last installment, I explore the role that culture – the culture of the managed care movement and the larger health policy community – played in elevating the ACO to the status of national health policy and, at the same time, thwarting the production of useful research on what it is ACOs do for patients. For an answer to what’s causing this problem, we need to examine the habits of thought within the health policy community that perpetuate this problem. These habits are part of the culture that arose within the health policy community over the last half-century. In this essay I focus on three dysfunctional habits, mores, or standards that were first adopted by the managed care movement and then spread throughout the health policy community. I then offer an explanation for why these habits became so deeply ingrained and widespread. My explanation is that these habits contributed to the political success of the managed care movement. Just as organisms maintain and strengthen attributes that contribute to their evolutionary success, so the managed care movement nourished the dysfunctional habits that contributed to its political success. Disinterest in evidence. 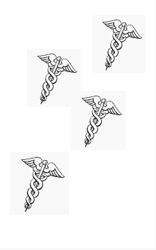 Heavy reliance on raw opinion, little reliance on rigorously conducted experimentation and research (in part because of the poor definition of the “reform” in question), and failure to measure the costs of the proposed “reform” (such as cost of setting up and running ACOs, or the administrative costs HMOs and PPOs impose on doctors and hospitals). These three habits of thought emerged during the formative years of the managed care movement. Dr. Paul Ellwood, the man who “dreamed up” the HMO concept (as Philip Caper put it), and officials in the Nixon administration deliberately decided to give the HMO a manipulative name, they deliberately decided to “define” the HMO according to their hopes for it, and they enthusiastically made grand claims for the HMO based on anecdotes or no evidence at all. They did not propose subjecting the HMO to a pilot test before exposing large portions of the population to HMOs. Leading Democrats in Congress quickly adopted these same tactics. Ellwood immediately agreed to Butler’s rationale. The five men decided that the only information the Nixon administration would reveal about this new-fangled corporation, other than what they hoped it would do, was that it would be subjected to the reverse of the fee-for-service incentive – so-called “pre-payment,” which was just another word (an unnecessarily abstract word) for “premium payment.” This reversal of financial incentives would lead to good things, and that’s all anyone needed to know. Thus, at the very creation of the managed care movement, its leaders adopted a proposal with no empirical evidence to support it, and they deliberately rationalized describing their proposal in amorphous, aspirational and manipulative terms on the ground that those terms would make it easier to sell their proposal to legislators and the public. If at this point Democrats in Congress had objected to such tactics, those tactics might have died in their cradle. But leading Democrats, including William Roy in the House, adopted those tactics as their own. Those tactics were successful. Congress enacted legislation in 1972 allowing HMOs to participate in Medicare, and in 1973 Congress passed the HMO Act. Other proponents of HMOs and of subsequent iterations of what came to be called “managed care” quickly adopted those tactics. They repeated Ellwood’s diagnosis (that fee-for-service is the root cause of health care inflation) and his solution (insurance risk must be shifted to doctors) even though they had no empirical evidence for the diagnosis or the solution. Over the coming decades they would, as Ellwood et al. had, assert their opinions regardless of the paucity of evidence for them, they would use vague language rather than concrete terms, and they would use words designed to persuade rather than inform. These tactics help explain why managed care has been so successful politically – numerous bills based on managed care theology have passed Congress and state legislatures, managed care proponents occupy leadership positions throughout the media, business, politics, academia and the foundation world, and managed care dominates the professional and lay media discussion of health policy (see, for example, the first page of this paper by David Mechanic ). But these tactics also explain why managed care has failed to produce a solution to the US health care crisis, and may in fact have aggravated that crisis. In the early 2000s, an ostensibly new form of managed care emerged. Its principle elements were “pay-for-performance,” ACOs, and “medical homes,” and the universal adoption of EMRs to facilitate all of the above. But this version of managed care, call it Managed Care 2.0, is also failing to cut costs, is having (at best) mixed effects on quality, and is aggravating other problems, including physician burnout and the consolidation of our system into mega-systems. In this three-part series of comments, I have sought to explain why we have no information on what services ACOs provide to patients that non-ACO providers do not provide. The immediate cause of this problem is the amorphous, wish-based, un-testable definition of “ACO.” But the more fundamental cause is a set of norms or mores that has evolved within the health policy community that not only tolerates but encourages sloppy thinking. These norms were created at the dawn of the managed care movement, and spread throughout the health policy community, a community which emerged at about the same time the managed care movement was forming. Those norms are not even recognized by the vast majority of health policy analysts, much less analyzed. The health policy literature is rife with negative opinions about physician “culture.” Those opinions are usually offered to explain why some managed care proposal is necessary, or why some managed care proposal didn’t work as advertised. According to those who opine about physician culture, it is a culture of “resistance” to the bright ideas that flow from the health policy community. I urge the health policy community, especially those members who unabashedly promote ACOs and other iterations of managed care, to consider the possibility that their culture has played a prominent role in the chronic failure of managed care propositions to work as advertised. In addition to the ACO, the major “reforms” that fit this description include, in approximate order of appearance: The HMO, the PPO, utilization review, drug formularies, report cards, disease management, pay-for-performance, the “medical home,” and forced use of electronic medical records. Joseph Falkson, HMOs and the Politics of Health System Reform, American Hospital Association and A. Prentice-Hall Company, 1979, 31. To give you some idea of how vaguely other HMO advocates defined this entity, consider this statement by Elliot Richardson, Nixon’s HEW Secretary: “I adhered from the outset to the definition of an HMO, namely that it is any arrangement which has the function of allocating prepaid dollars over … a comprehensive range of needed health services. The only thing that an HMO does for you is to create a point at which somebody has to look at how dollars are distributed.” (Falkson, op cit., 53) “A point at which someone has to look at dollars” takes the blue ribbon for vagueness. Paul M. Ellwood, Jr. et al., “Health Maintenance Strategy,” Medical Care, 1971;9: 291-298. I will not attempt to document that statement here. I have commented elsewhere on the role of the habits of thought I am criticizing in creating and sustaining the hype about P4P http://pnhp.org/blog/2014/08/12/to-err-is-human-the-p4p-fad-illustrates-the-problem/, the ACO (see Parts I and II of this series), the “medical home,” http://pnhp.org/blog/2015/02/24/cmss-medical-home-experiment-is-a-mess/, and EMRs. http://www.healthcareitnews.com/blog/big-data-latest-fad-health-policy For a longer and more documented presentation of my criticism of the culture of the managed care movement, see “Part II: The Managed Care Movement” in a paper I wrote with Ted Marmor http://digitalcommons.law.yale.edu/cgi/viewcontent.cgi?article=1231&context=yjhple. Kip Sullivan is a member of the board of the Minnesota chapter of Physicians for a National Health Program. David, you’ve responded far more diplomatically, and productively, than I might have. My wiseass variant would have been something along the lines of “so it’s STILL the prices, stupid, and FFS is still no better than any other available option”. I particularly like your observation about the nature of policy innovation in general, which seldom proceeds from the kind of “empirical evidence” that Kip places such great faith in, in any realm of endeavor, much less in medicine. Congratulations on a most informative article. Excellent! I would add that we have to also consider that advocates who launch these ideas are after 1. power and prestige and 2. control over huge funding streams. You did a great job in enlightening anyone that takes the time to read this piece. Love this series. It was fascinating and is like music to my ears. I now have credible reasons for my distain for the new ACO, “Alternative Payment Model” Care.